Bhuvan Bam on his chat show Titu Talks, hosting Bollywood superstar Shah Rukh Khan and adult-star Johnny Sins, and his plans for the future. 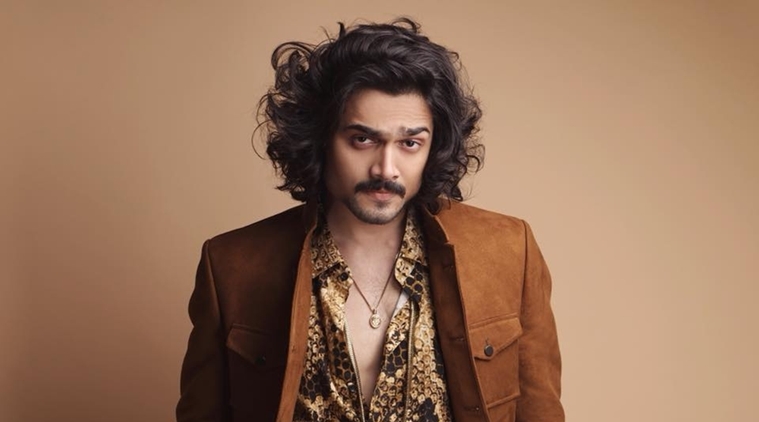 Internet sensation Bhuvan Bam surprised the audience at YouTube FanFest when he got Karan Johar on stage as a guest on his chat show Titu Talks. Karan, who hosts Koffee with Karan, was seen having a gala time with Bhuvan, and even attempted his popular ‘Toodles’ video with him. A few days before Bhuvan and Karan shared the stage, the YouTube star spoke exclusively to indianexpress.com about his chat show, hosting Shah Rukh Khan and adult-star Johnny Sins, and his plans for the future. How fulfilling is the job of a YouTube creator? I don’t know if I will be able to put it in words but it is a really good feeling. Bollywood penetrates everywhere so recognition comes easy. But with YouTube, it is not the same. It is growing very rapidly. I really feel proud to be a part of that rise. Why did you decide on starting the chat show Titu Talks? I had a very simple reason. While BB Ki Vines is doing well, it gives me no scope to collaborate with someone else. Titu mama is famous. The idea of him interviewing celebrities is funny itself. You will see Titu mama getting awkward in front of the guests. Honestly, it is not even a complete chat show. It is actually a very sasta version of Koffee with Karan. On one side you had Shah Rukh Khan as your first guest and then Johnny Sins. How was the experience with both? While growing up, we all have a small dream which we aren’t even sure if it will ever come true. Starting my chat with SRK sir was one such dream. He was so receptive, warm and enjoyed the whole experience. He is witty himself and his reactions complemented the overall script. SRK sir has set an example that if he can take jokes on himself, anyone can too. As for Johnny, he has been a friend for over a year now. I think Indian men worship him. The day I posted a picture announcing him as my next guest, it turned out to be one of the most commented pictures on Instagram ever. I really don’t know who the next guests would be, but they would definitely add more fun. How difficult does it get to maintain a balance between comedy and singing? I never think of balancing it and so everything happens organically. I do one thing at a time and that kind of helps me. My latest song “Bas Mein” was recorded more than six months back, shot a couple of months back and released only recently. So I take time and drop the right content only at the right time. Luckily, now most people know that music is not just a hobby for me. I genuinely love music and I hope with time more people will realise that. While we have all seen you enacting multiple vine characters, do you want to also take up full-fledged acting roles? Of course, I really want to explore that world. My short film Plus Minus is an example. It is just me acting there in a specific role. While I have a universe of characters through vines, it is always a different feeling to do something written by someone else. Maybe not right now but Bollywood is my ultimate aim. All said and done, BB Ki Vines is my baby. I want it to grow as a brand and a production house in some years. Is there any kind of competition between creators? The competition is only by the fans in the comments section. Whenever we are together, we actually laugh over it. People might think we try to compete but in reality, each one of us is fighting our own battle. And at the end of the day, YouTube India is growing. And it is not just one person who has helped it grow, everyone is contributing towards it. It is said that success comes with a price. What’s that one thing you lost on your way up? Frankly speaking, I don’t think my life has changed at all. Maybe yes, there are a few more people who know about my existence or recognise me by my face. Rest, my life is just the same. I still have to do petty jobs at home like filling water bottles or getting scolded for not removing my shoes outside (laughs). It might look all glossy and glamorous from the exterior but I am a normal guy when I am home. My family has definitely kept me grounded.